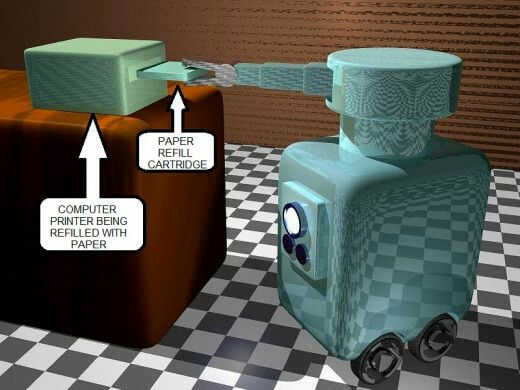 Routine office tasks like refilling paper or ink in a computer printer may be done by robots. Suppose you work in an office, and there's a few trivial tasks that you have to perform, like refilling the paper in your computer printer, or replacing the batteries in your smoke detector. Do you really want to stop what you're doing so you can climb up a ladder, and remove the smoke detector from the ceiling, put new batteries in it, and put it back up there? In the ideal office of the future, a robot may do it for you. Imagine a robot that comes in once every year, to replace the batteries in the smoke detector. Every office has got to have a smoke detector, but smoke detectors require batteries, and those batteries have to be replaced annually. A self-contained robot that moves around on a set of wheels can come into your office and replace the batteries in your smoke detector for you. 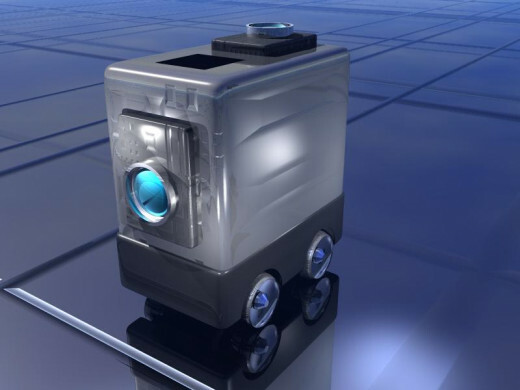 This robot would have several video cameras built into it, so it can detect and avoid obstacles. If it's camera detects the image of a chair, for example, the robot's computer would play a recording that says: "Please move the chair, so I can have access to the floor directly under the smoke detector". After you move the chair out of the way, the robot parks itself under the smoke detector, and reaches up with a mechanical hand that's mounted on a telescopic mast. The robot would have a camera mounted so it's facing upwards. This upwards-facing camera allows the robot to 'see' the ceiling, so it can reach for the smoke detector. 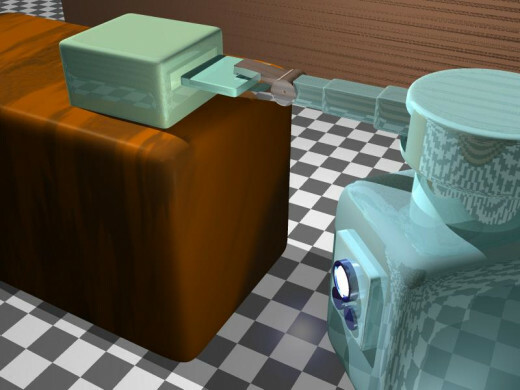 A small door on the robot opens and the robot's mechanical hand reaches upwards through the door. When the robot reaches for the smoke detector, it removes it from the ceiling and brings it down into the robot's body. When the smoke detector is inside the robot's body, the old battery is removed from the smoke detector, and a new battery is put inside. At this point, the robot may also perform a test on the smoke detector to make sure it is working properly. If the smoke detector is not working properly, the robot can replace the entire unit. 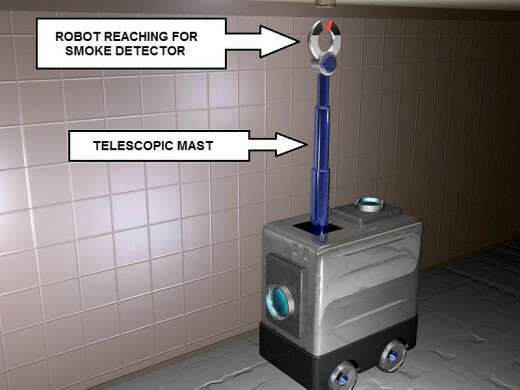 A supply of brand-new smoke detectors would be carried inside the robot, so that a brand-new smoke detector can be installed in case the old one doesn't work. Other types of office service robots would be made to refill computer printers and photo-copy machines that run out of paper. 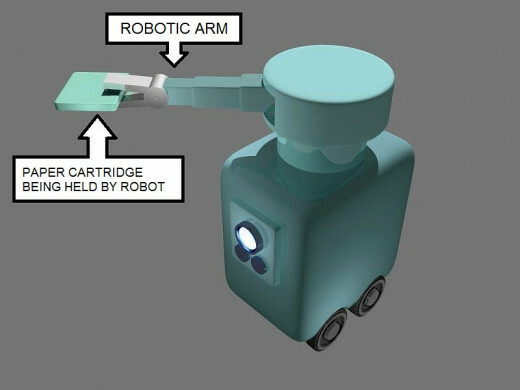 These robots may also replace ink cartridges that have run out of ink. This class of office service robots may be called 'computer service robots', since they are designed to refill the ink and paper cartridges in computer printers. 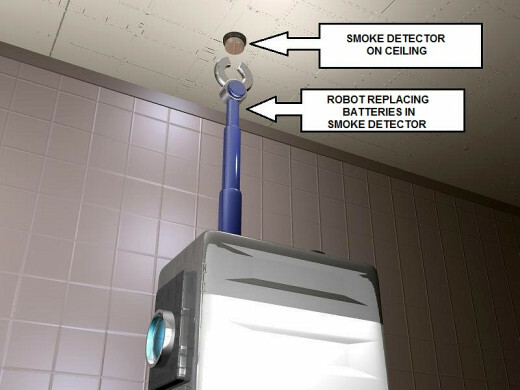 Since this type of robot is capable of reaching the ceiling, to work on ceiling-mounted smoke detectors, they may also be capable of changing light bulbs on the ceiling. If you have a light bulb that burns out, the robot would reach up to the ceiling to remove it, and then it would reach up and install a brand-new light bulb. Suppose your computer printer runs out of paper. 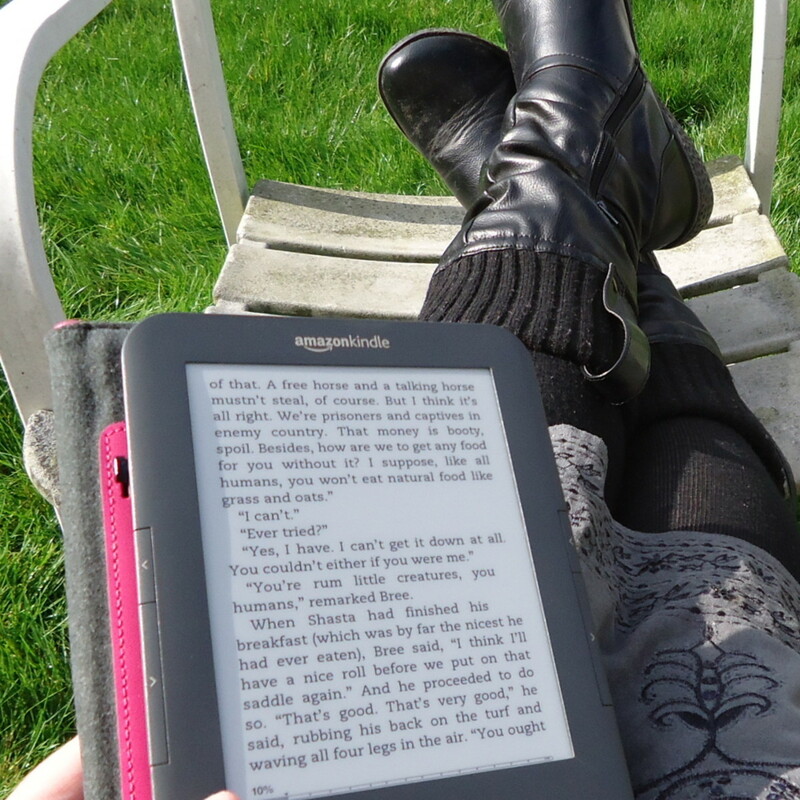 There would be no need to leave your office to get more. You'd simply dial your phone to call the computer service robot. When you call the robot-control switchboard, you'd hear a series of recorded messages that you could respond to by pushing buttons on your telephone. For example, the robot-control switchboard would say, 'do you need paper or an ink cartridge? Press one for paper, press two for ink". If you needed ink, you would press the number two. Then you'd hear a message that says, "You chose ink, is that correct? Press one if yes, press two if no." So, you push button number one. Then the robot-control switchboard plays a message that says, "What is your room number?" If your office is in room number 13, you push the number one on your phone keypad, then push the number three, to designate room thirteen. Then you hear a message that ask you to verify the room number. This is done to make sure the robot does not go to the wrong room. The message says,"Room thirteen, is that correct? Press one if yes, press two if no." So, you press the number one, and then you hear a recording that says, "We estimate the robot will reach your office in seven minutes. Be prepared to open your office door when the robot arrives". When the robot arrives at your door, you open the door and let it in. Since the robot would not have a floor plan of your office, you would have to show it where the computer printer is. The robot would have a loudspeaker built into it, and it would play pre-recorded messages through this speaker. These messages would be requests for guidance, you would have to tell the robot to turn left, turn right, and so on, until it reaches your computer printer. 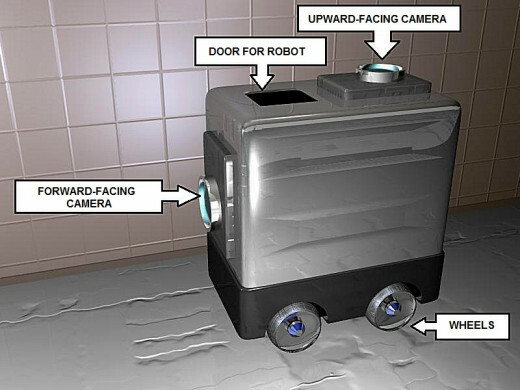 As soon as your computer printer is within visual range of the robot's cameras, the robot can do the rest. 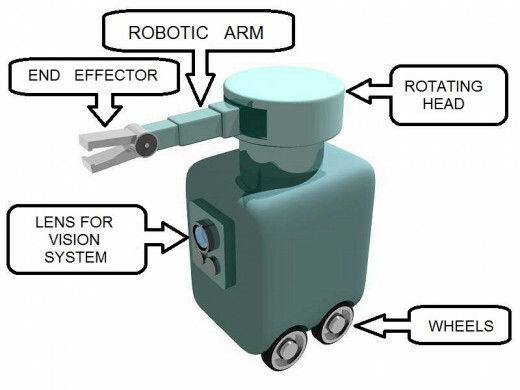 The robot has a robotic arm that reaches out and opens up your printer, to remove the ink cartridge. It stores the old cartridge inside of it's body, and it installs a new ink cartridge. The old cartridge will be taken to a recycling center for recycling. The robot may also replace paper, if you need it. When the robot spots your computer printer in it's visual field, it obtains a picture of your printer, it compares this picture to pictures of printers in it's data base, to determine what kind of printer you have. After the make and model or your printer have been determined, the robot installs whatever ink cartridge or paper cartridge that fits your particular model of printer. After this task is finished, the robot finds its way out of your office and leaves. It can find it's way out by re-tracing the route it took to get in. Office service robots like these can help to save money by reducing labor costs. It would be less expensive to have a robot refill computer printers with paper than to pay a human worker to do the same job. Do you think a human worker may be tempted to steal supplies? It's possible. 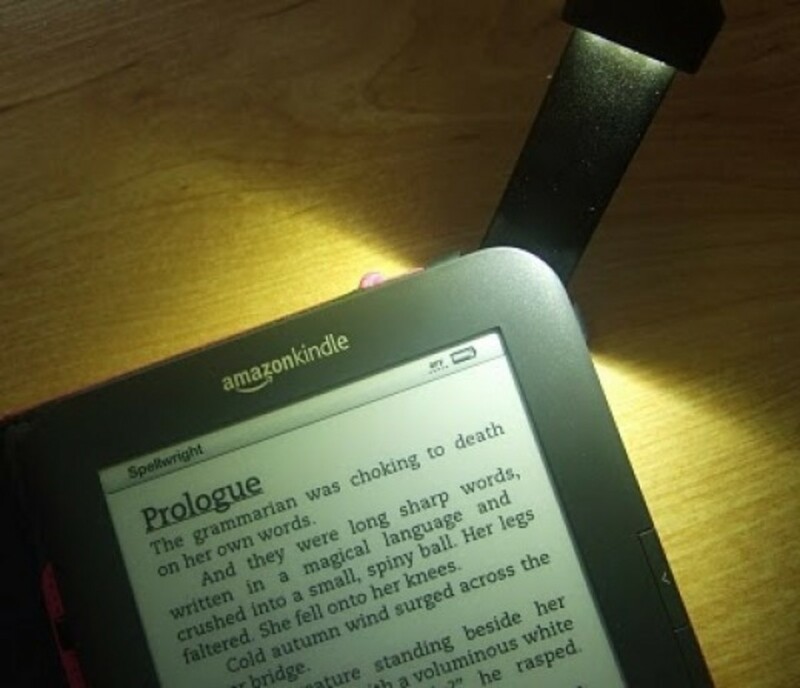 Suppose a human employee was listening to music on a portable MP3 player, and the battery in the MP3 player started to run out of power. 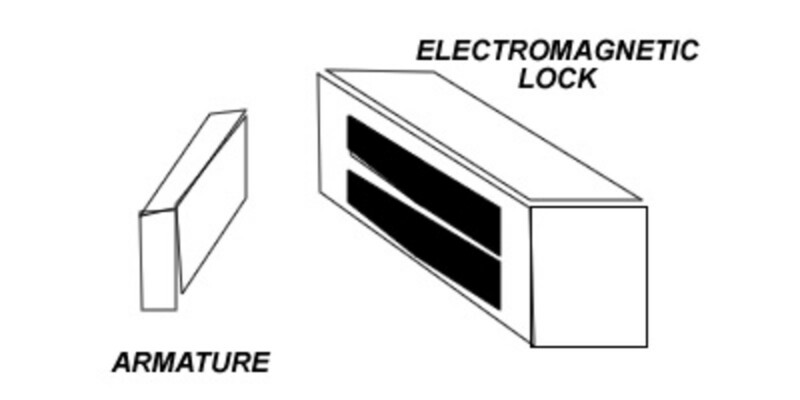 At that point, the batteries that were intended to go into the smoke detectors might start to look pretty tempting, and the employee may steal one of the batteries, and put the stolen battery in his MP3 player. A robot that was programmed to put batteries into smoke detectors would not steal the batteries, so obviously, using a robot-based supply system would save money by reducing theft of office supplies. The Time my Smoke Alarm Nearly Killed Me – Really!